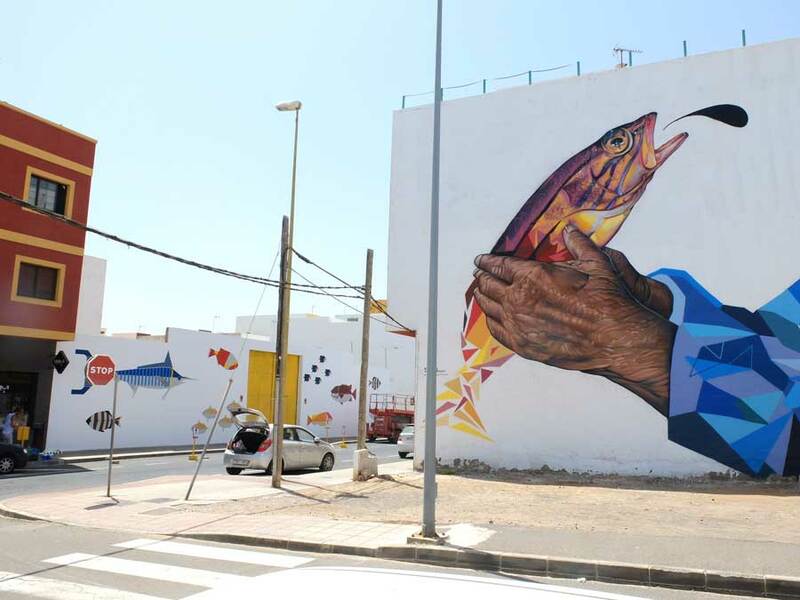 Puerto del Rosario, Canary Islands – Spain. 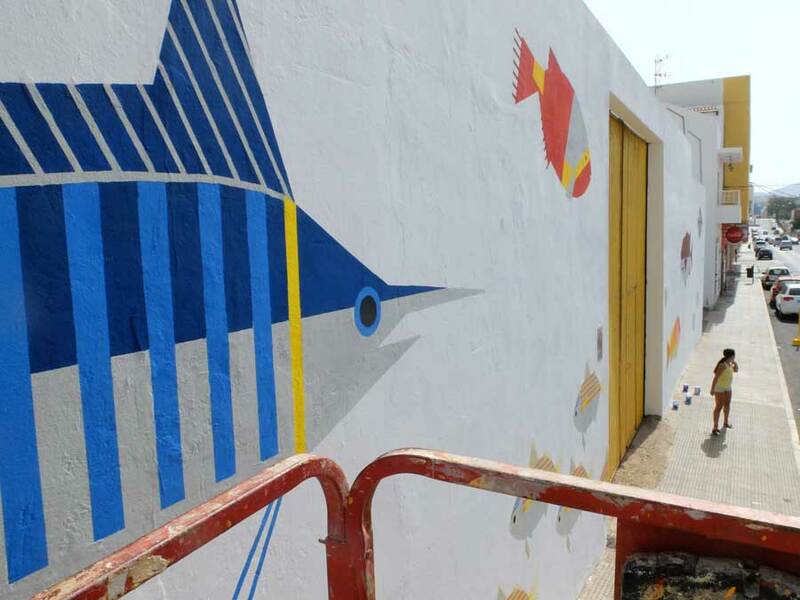 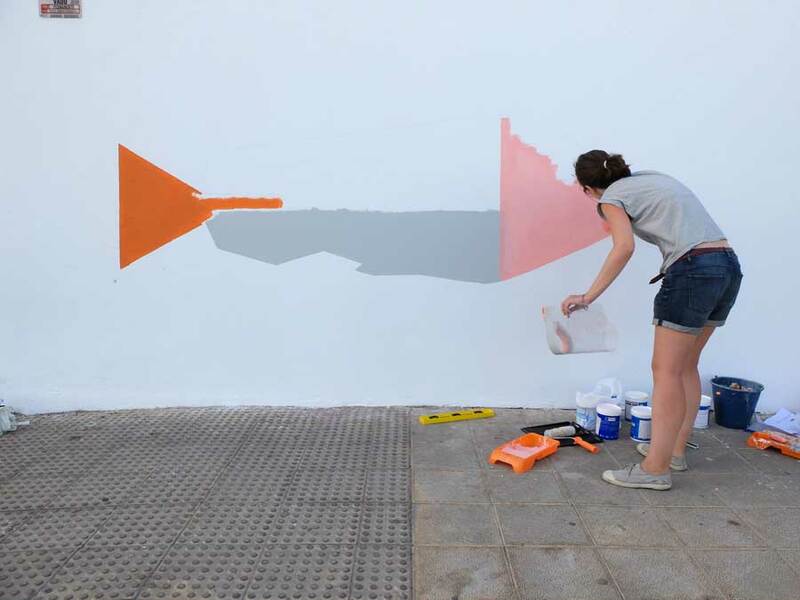 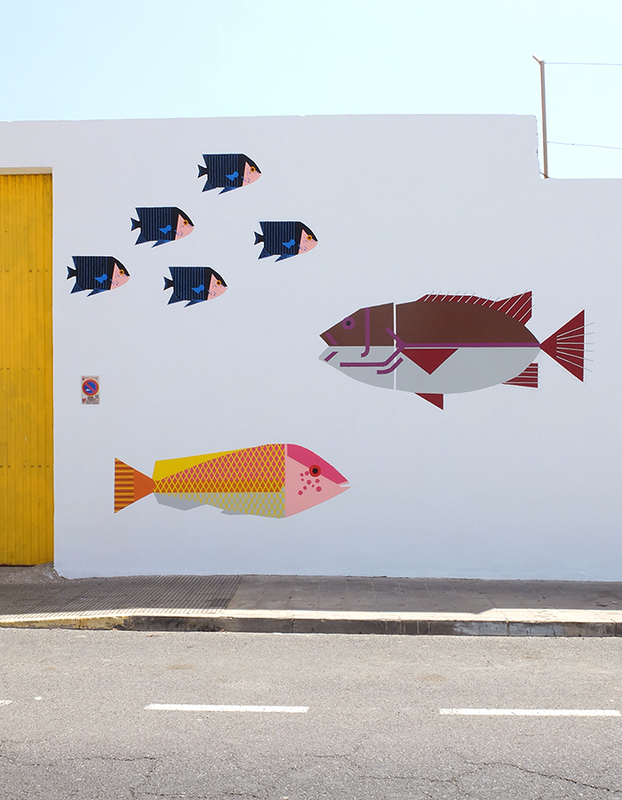 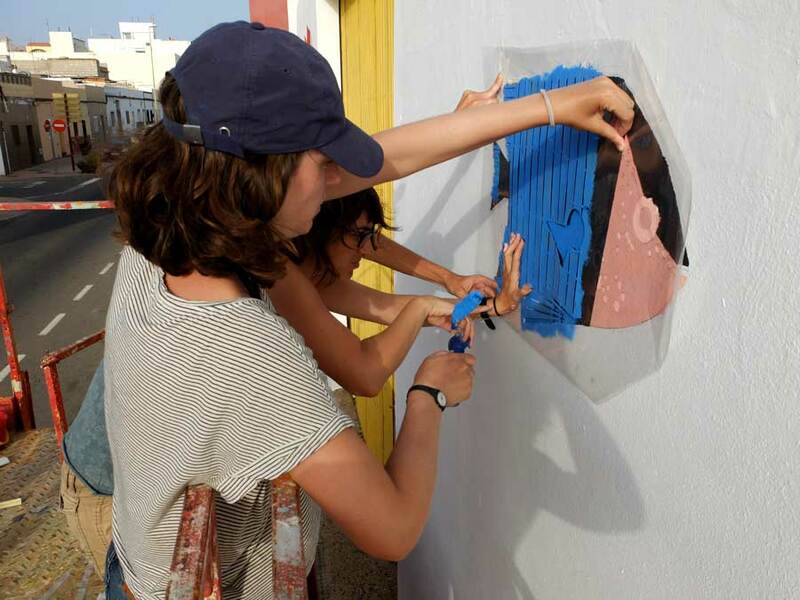 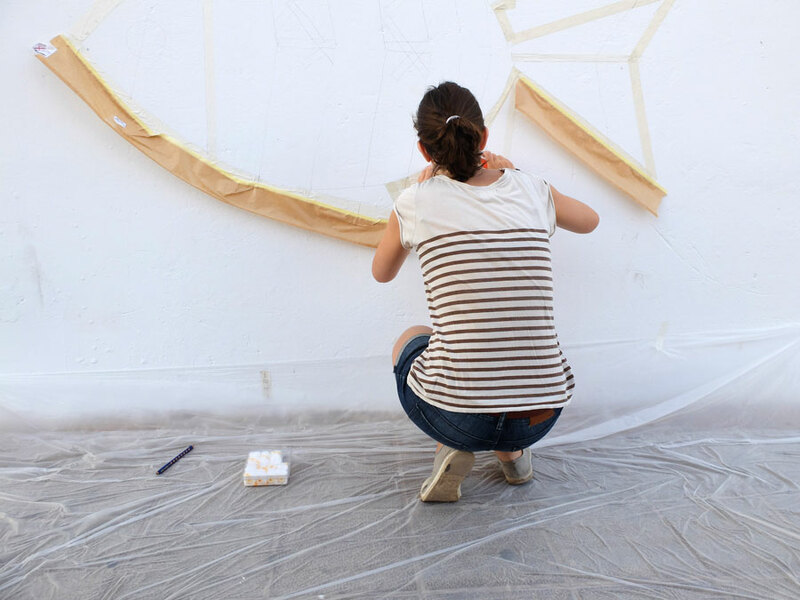 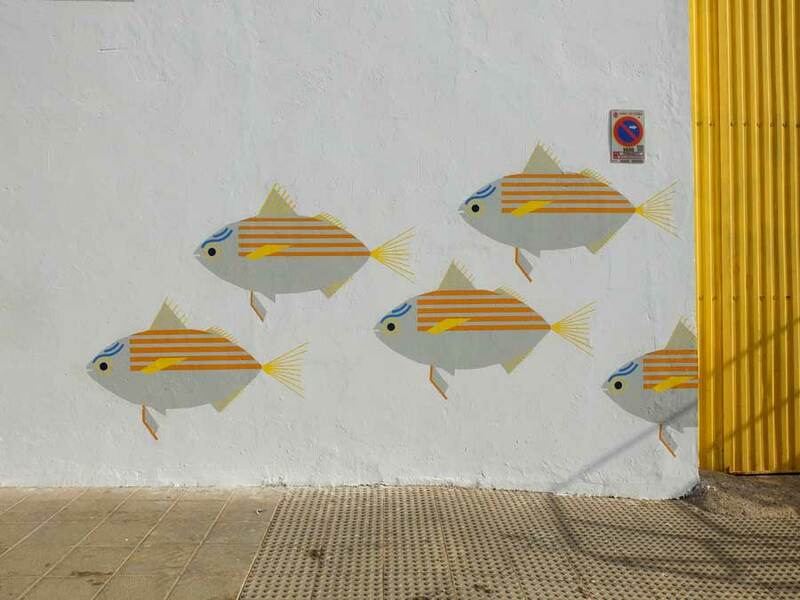 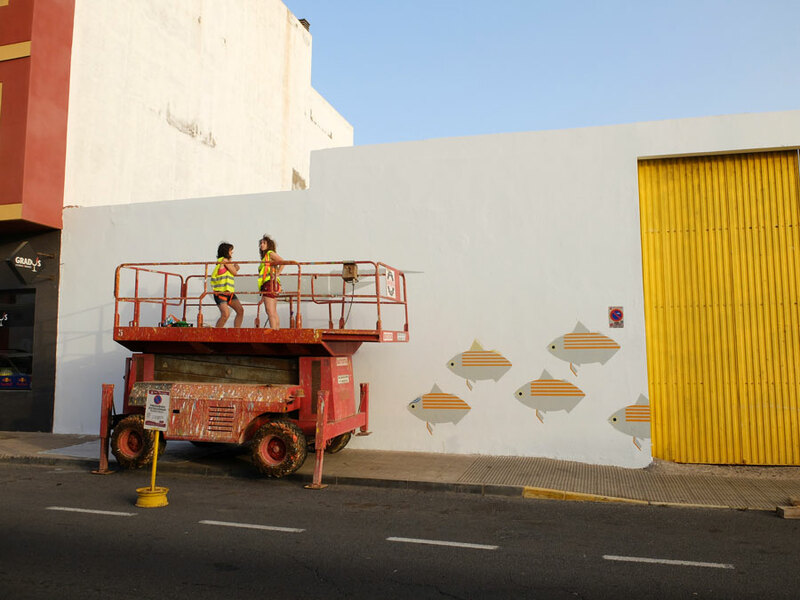 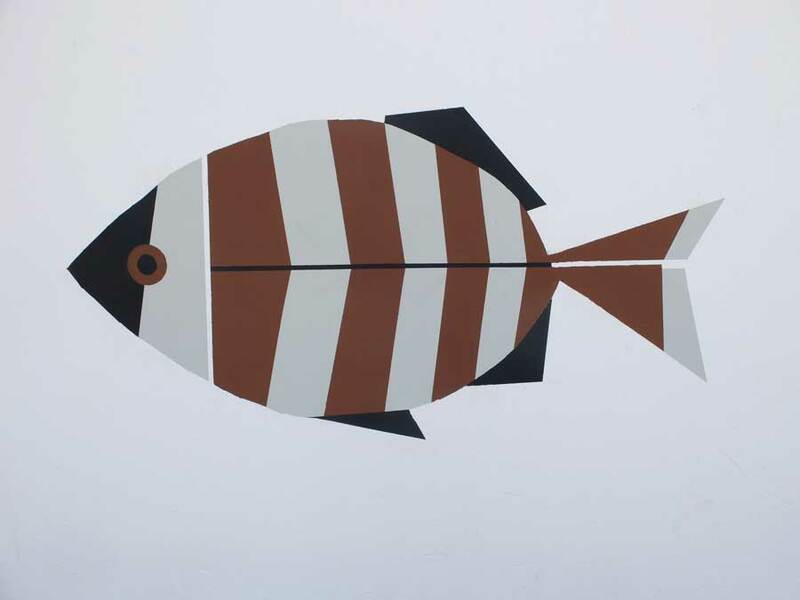 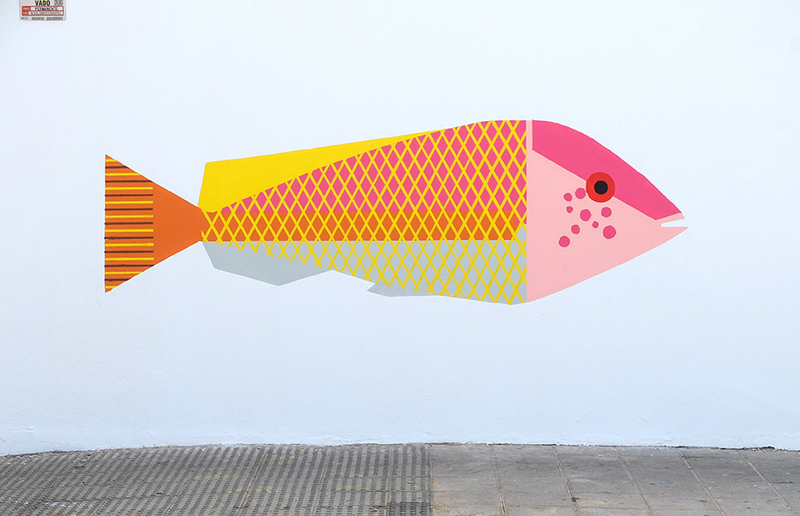 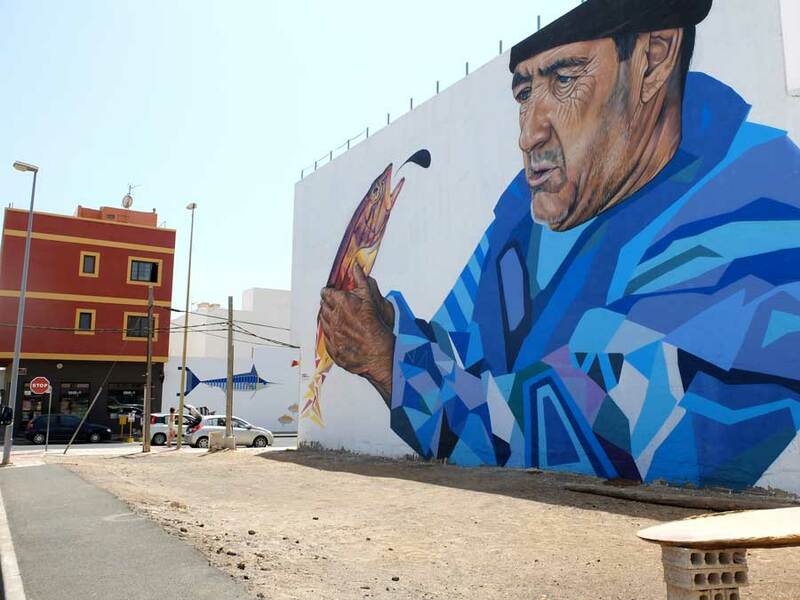 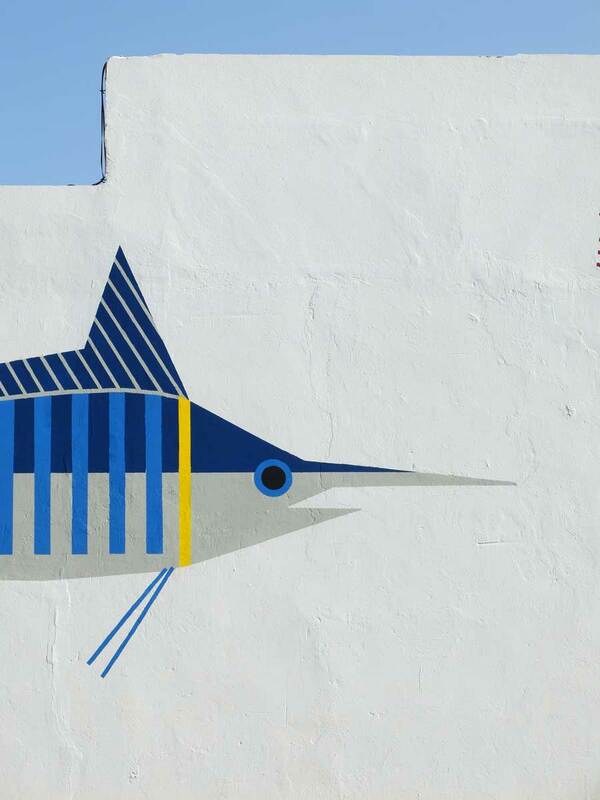 The mural is situated in El Charco, the fishermen’s quarter of Puerto del Rosario (the main city in the island of Fuerteventura). 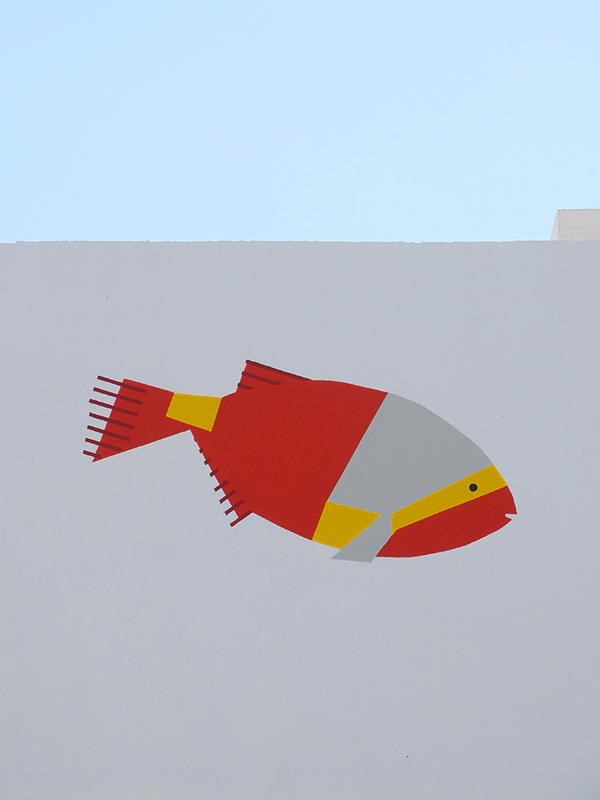 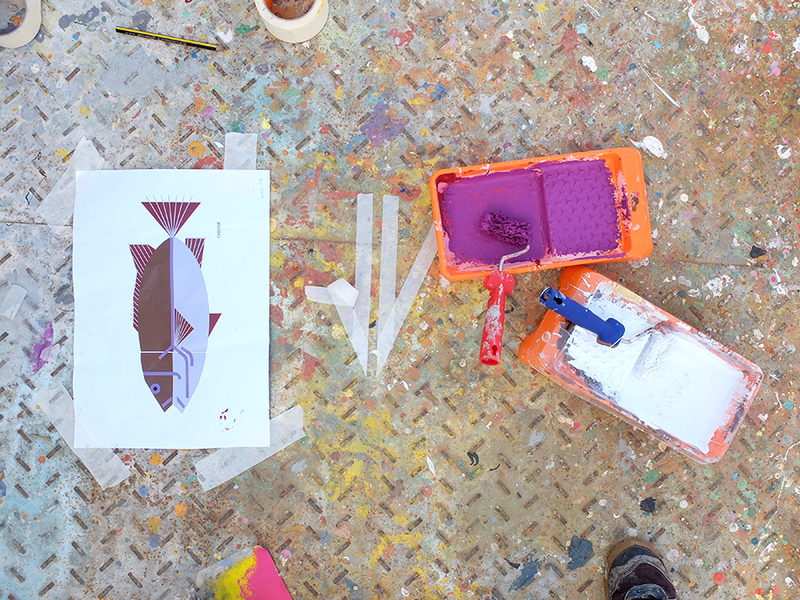 In it, we see various species of fish, typical from the Canary Islands. 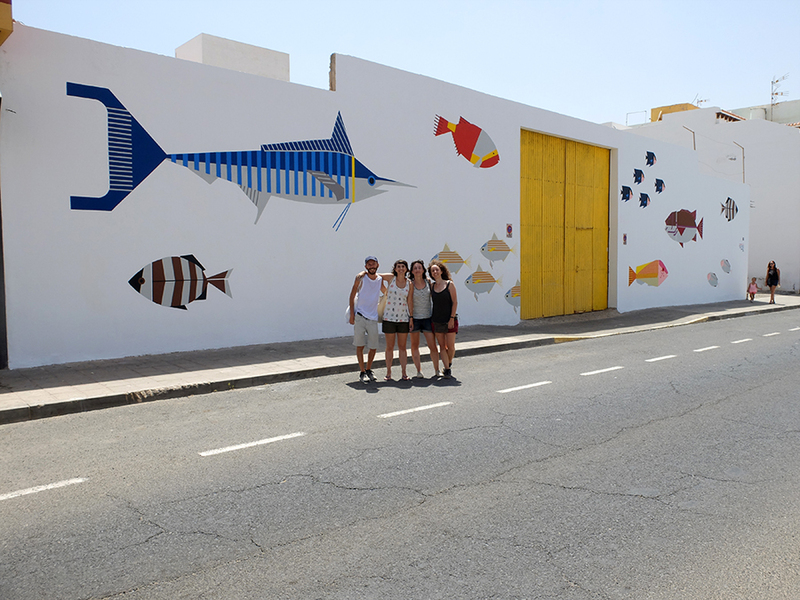 The street turns in to a sort of gigantic aquarium and it brings a part of the Atlantic ocean to the city. 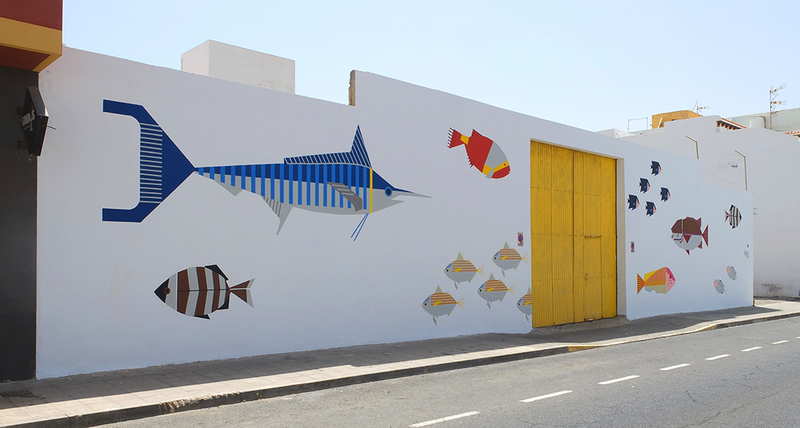 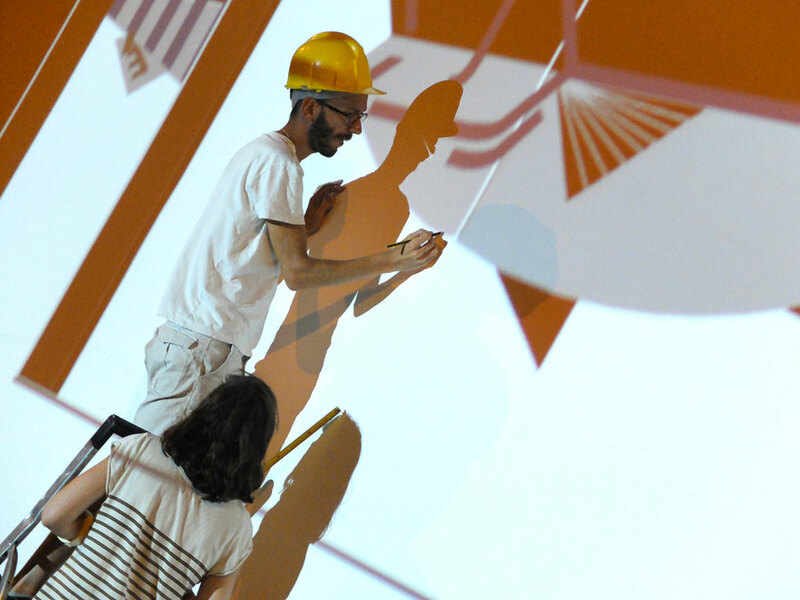 The theme is also related to another mural from a previous edition done by Sabotage al Montaje.